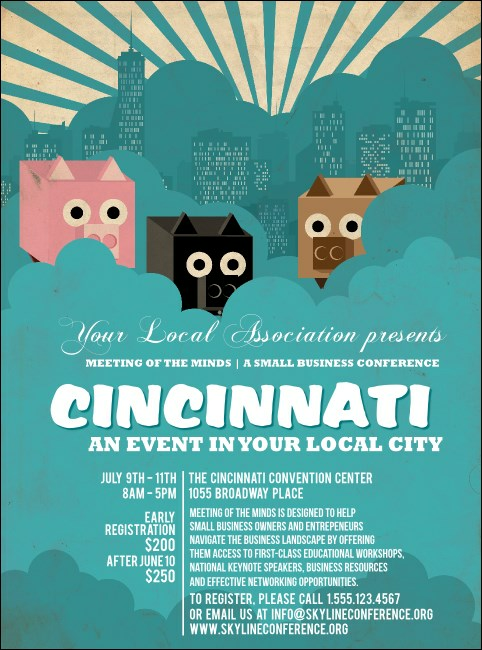 Draw attention to your next Tri-State event with the Cincinnati Flyer. Cincinnati locals will take notice of the impressive Cincy skyline and the sweet Flying Pigs in the puffy blue clouds. Whether your guests root for the Bengals or the Reds, or both, they'll appreciate this unique Cincy design.